After 20 years, Intel is scrapping its marquee annual Intel Developer Forum event, where tech enthusiasts gathered to load up on the chipmaker's news and technologies. IDF started off in 1997 as a small event in Palm Springs, California. The show was later moved to San Francisco and vastly expanded during a boom in the PC market. But with the PC market slowing down, the attraction of IDF has also dwindled. Intel's future isn't tied to PCs but instead to areas like data centers, autonomous cars, modems, the internet of things, and manufacturing. 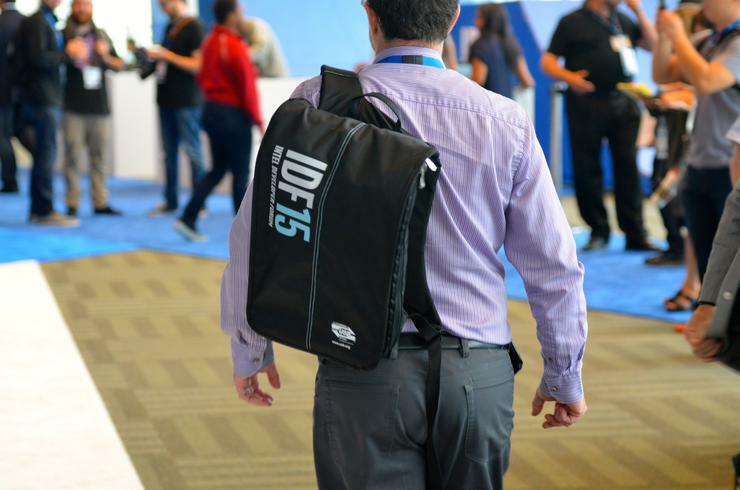 Last year, IDF events were held in San Francisco and Beijing, and neither will happen this year. An event was scheduled this year from Aug. 15 to 17 in San Francisco, according to a calendar for Moscone Convention Center, but it has been canceled. In lieu of IDF, Intel will instead hold small events, workshops, and participate in trade shows to highlight its technologies and connect with customers. Intel has a big presence every year at shows like CES, Computex, and Mobile World Congress. Apple iPhone launches in the past have upstaged IDF San Francisco. From 2012 to 2014, iPhone launches around the time of IDF became the main topic of conversation on the show floor. In 2011, IDF clashed with Microsoft's Build Conference being held in Anaheim, California, and Windows 8, Windows RT, and ARM chips were part of the conversation at Intel's show. To avoid a clash with Apple's iPhone launches and other shows like TechCrunch Disrupt, Intel eventually moved IDF to mid-August in 2015. Major PC, chip, and data-center announcements were a staple of the show, but such announcements have dwindled in the last few years. Over the final years, IDF started losing its technical edge and became more of a marketing vehicle for the company as it expanded into wearables, drones, cool gadgets, and other devices. The company used the show to send a message that it was more than a technology company. Intel in 2013 scrapped a popular third-day opening keynote by former CTO Justin Rattner, who showed off future-looking technologies like a solar-powered PC. It was replaced by keynotes that didn't touch on deep technology. Privately, attendees grumbled that Intel was losing its core audience of engineers and technology specialists with its grand show of cool devices. Intel will be able to connect to developers via trade shows and workshops, which are more targeted, a company spokeswoman said.